– Jane Jacobs, Dark Age Ahead, 2007. 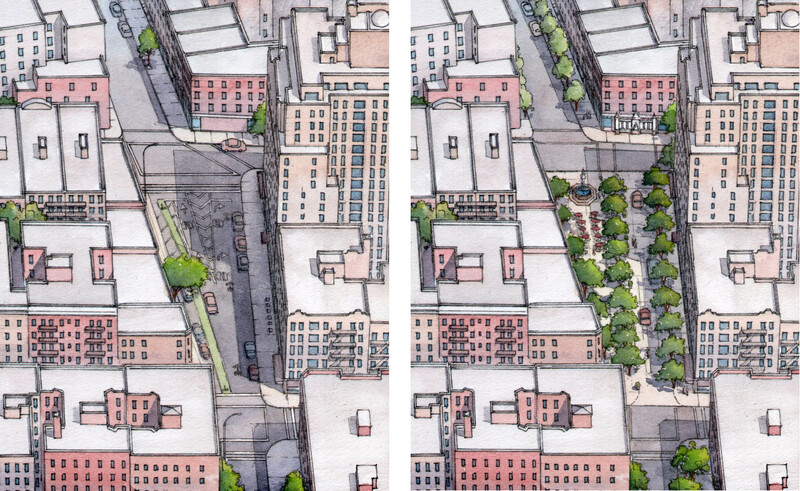 JOIN CNU NYC for a look at the streets of Greenwich Village through Jane Jacobs’ eyes. CNU NYC’s second Jane’s Walk begins in front of Jacobs’ house at 555 Hudson Street and continues through her neighborhood to Washington Square, where Jacobs led the first successful resistance to Robert Moses’s city highways and urban removal. CNU NYC Chair John Massengale. co-author of Street Design, The Secret to Great Cities and Towns, will show us his design for “Jane Jacobs Square” at the historic heart of the Village. The walk will begin at Jane’s house in Greenwich Village at 555 Hudson Street at 1 PM and return to Jane’s neighborhood tavern at 567 Hudson Street, the White Horse Tavern. Jane Jacobs Square, Bleecker Street between 10th Street and Christopher Street. Design by Massengale & Co LLC and Dover, Kohl & Partners, 2012. See John Massengale and Victor Dover, Street Design, The Secret to Great Cities and Towns: pp 272-73. 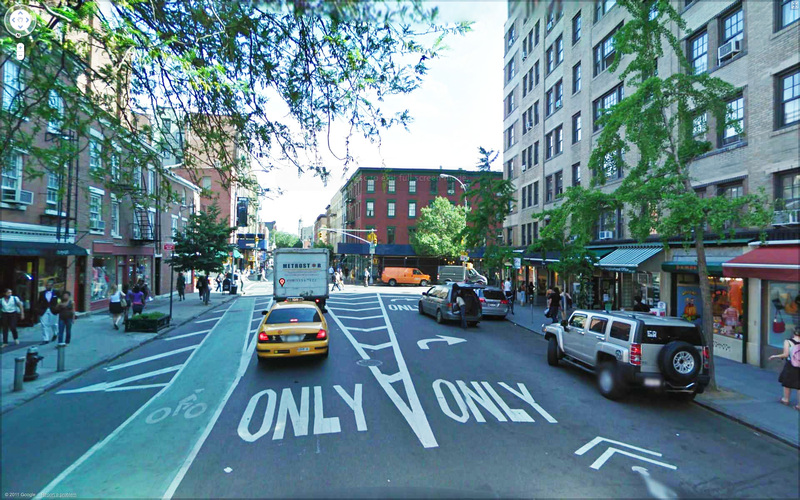 This entry was posted in Books, Events, New Urbanism, Street of the Day, Vision Zero, Walkable. Bookmark the permalink.